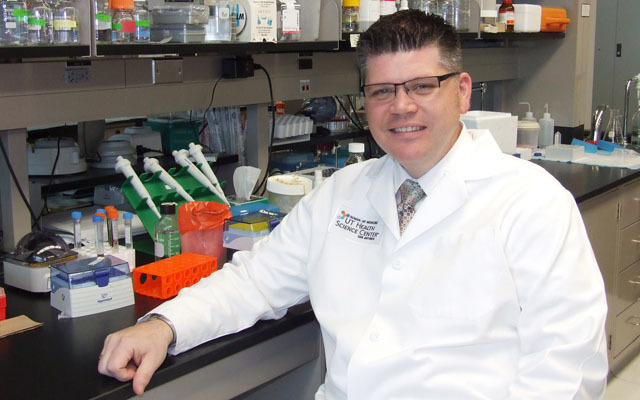 The National Cancer Institute (NCI) recently nominated a new member to its NCI Council of Research Advocates, Greg Aune, a pediatric hematologist-oncologist from The University of Texas Health Science Center at San Santonio. The announcement was made last Friday by NCI director Harold Varmus in a closed-door briefing on pediatric cancer for childhood cancer advocates at the White House. Aune, who is also an assistant professor of pediatrics at the UTHSCSA, was appointed by the NCI in an effort to underscore the institution’s commitment to pursuing research and treatment for pediatric cancer. With a focus on addressing research-related issues, increasing community outreach, and improving research collaborations in order to achieve better results from research currently being conducted, the NCI Council of Research Advocates (NCRA) is the only federal advisory committee of its kind, including advocate leaders at NCI. After living with a life-threatening disease, Dr. Aune decided to help children, not only by advancing pediatric oncology, but also by researching health problems that are directly related to patients who survive cancer. Aune has noted that there are 13 million adults and children who survive the disease in the U.S., and that “a third of long-term survivors have a life-threatening medical problem related to the treatment that saved them.” In particular, Aune has been dedicated to study the heart problems in adults who survived pediatric cancers. Results of his research is widely anticipated, as it can lead to the development of a less toxic chemotherapy drug both for adults and children. It has already been granted a three-year $330,000 grant from the St. Baldrick’s Foundation, as well as a “Hope Grant” worth $250,000, donated by Hyundai Motor America to support research on pediatric cancer at the UTHSCSA.